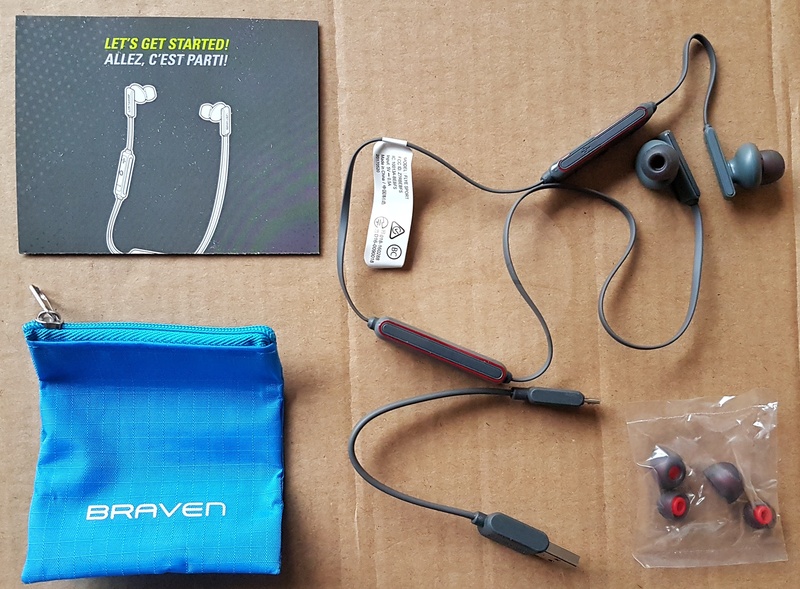 Our previous reviews of Braven’s Bluetooth speakers have been very positive, so we were happy to be able to check out their latest Bluetooth sports earbuds to see how they stack up. Packaging is on point, with one of those boxes that open with a magnetic flap to give you a glimpse of the actual product before committing to the actual unboxing. 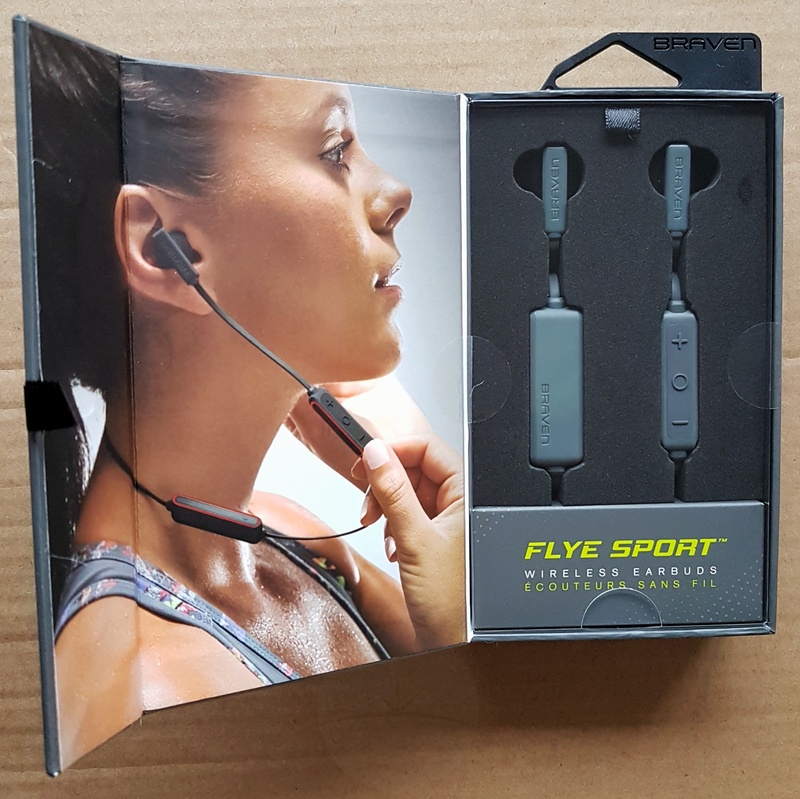 Along with the headset you get a small zipped carry pouch, spare silicone eartips and an instruction leaflet. 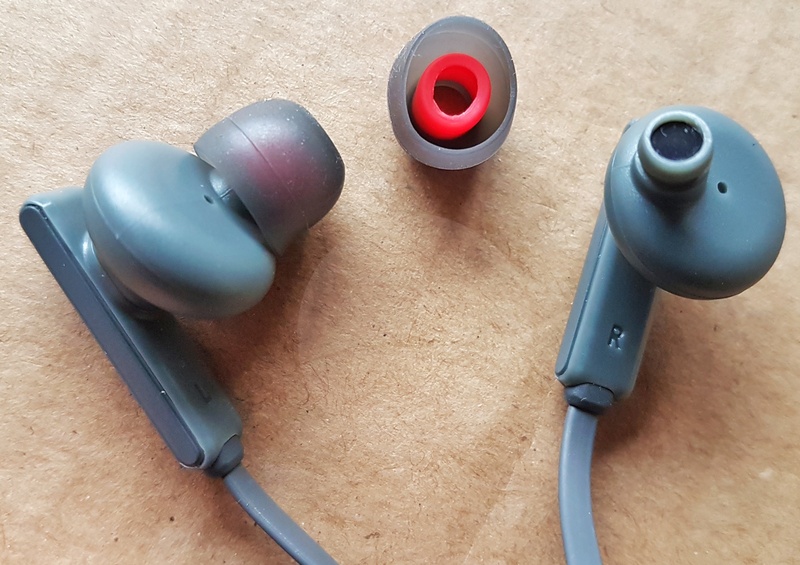 Design-wise these have the familiar “wire behind the neck” sports style which has worked well for me in the past – the tangle-free cable tends to stay well out of the way giving you an unrestricted range of motion. 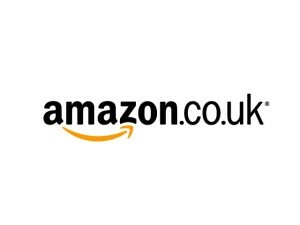 While it has the usual in-line remote control, there’s also an additional lump embedded in the cable showing only a status light. 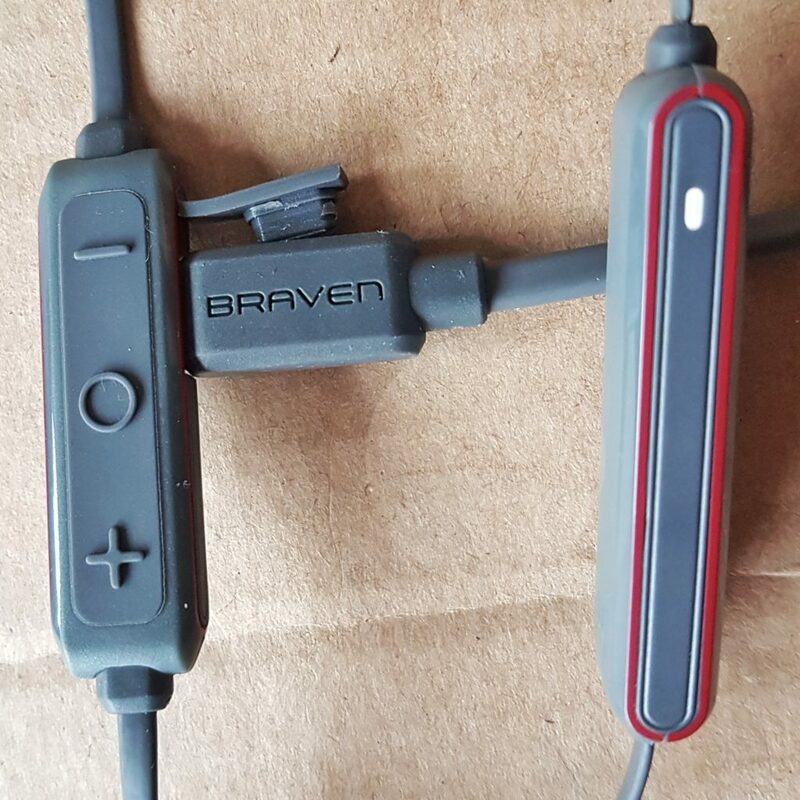 Typically we tend to get around 5 to 6 hours of playback from similar sports headsets, but Braven have managed a generous 12 hour battery life by including this larger battery separately on the cable. 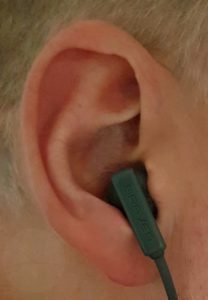 As a bonus this tends to balance out the weight of the earphones and helped keep those ergonomic earpieces firmly in my ears without the need for earhooks. Despite the larger battery this headset remains lightweight thanks to the IPX5 rated plastic shell. While the waterproofing isn’t quite up to being submerged, it should be able to withstand any amount of rain, sweat or splashing. 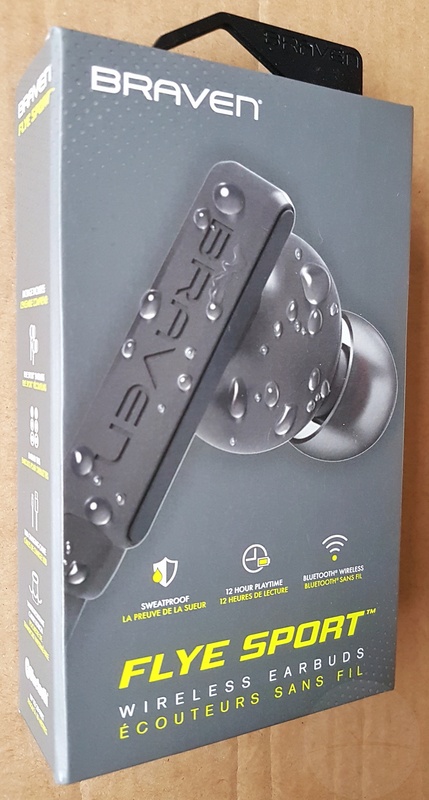 Overall I found them very comfortable and had no issues taking advantage of that extra battery life to listen to them all day. I was very happy with the audio performance as volume gets pretty loud with respectable bass and a clear, crisp sound overall. 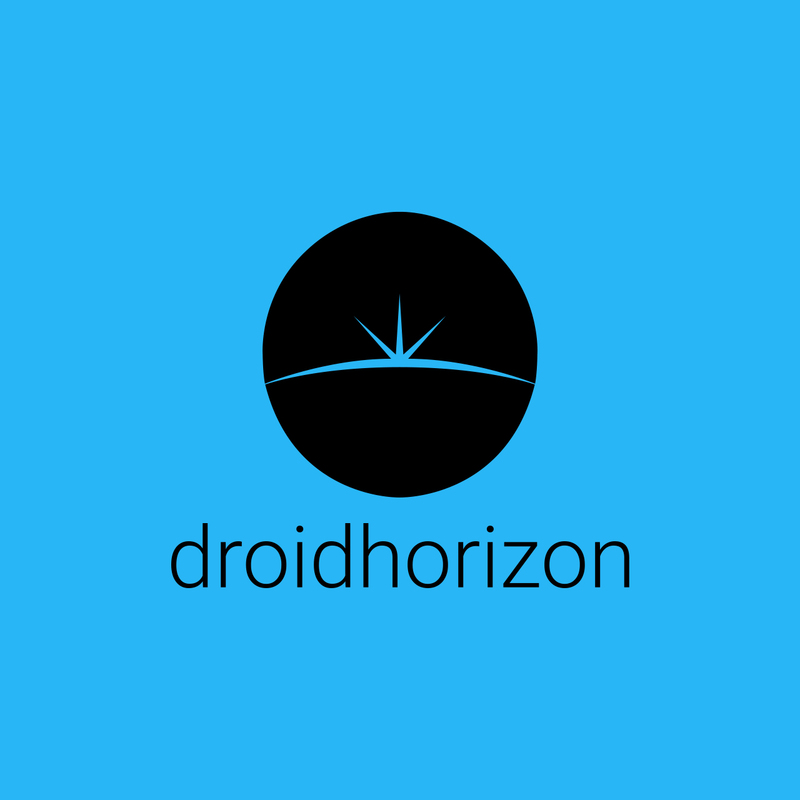 I also had no Bluetooth issues, with a stable wireless connection after a problem-free pairing with my phone.